CH HARBOR'S PURPLE REIGN - "Morado"
Loves to make you and everyone around him smile. Morado has great structure, beautiful coat. 2015 USA Havanses Nationals, at the age of 9 Months Morado was Rsv Winner. 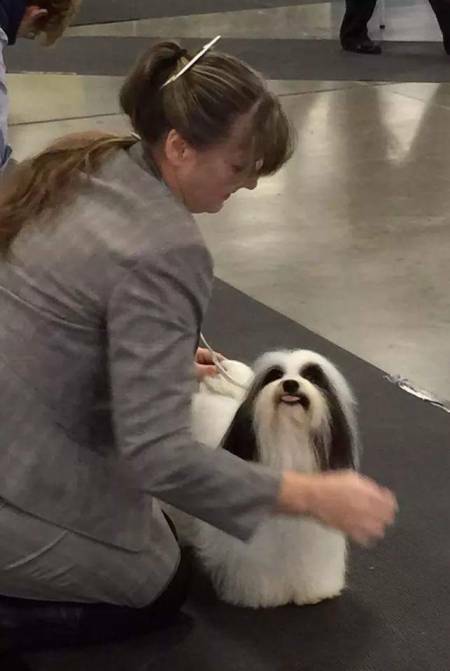 He was also Best Puppy of the 2015 USA Havanese Nationals. We are very proud of this boy. CHIC# OFA 2 YEAR HIP, Elbows & LCP, DVM states they are beautiful. Heart, Heart, Patella, eye clearances perfect.